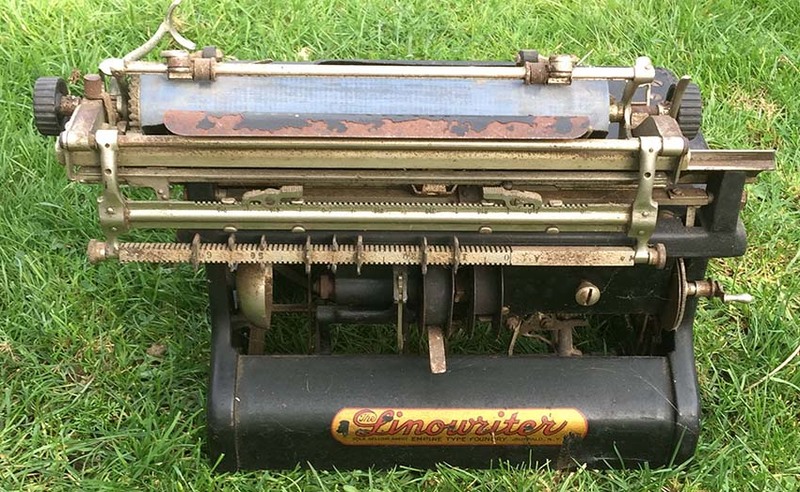 Linowriter - this one from 1910. 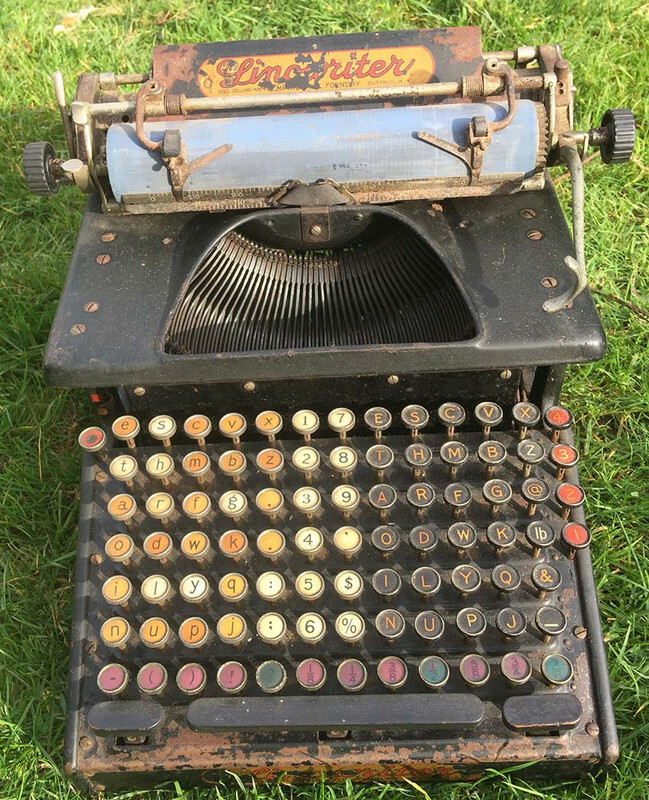 Linotype keyboard on a typewriter for practice purposes, I guess they could check the proof as well. Came to theprintingmuseum.org.nz via a collection of 60+ typewriters donated. Interestingly has automatic tab stops, pity the linotype never did. Nice pics John. Quite a comprehensive keyboard by today's standards. Nice selection of common fractions, the commercial at sign, any idea what the four red numbered keys on the right were for? Here is a bit more info regarding these machines. The article suggests that the machine may have been produced nearer to 1920 than 1910.